You all know about Craft Hope, don't you? Well, Lark Crafts declared August a Month of Hope in celebration of the release of the new Craft Hope book by Jade Sims. If you haven't seen it, it's an awesome, beautiful book. 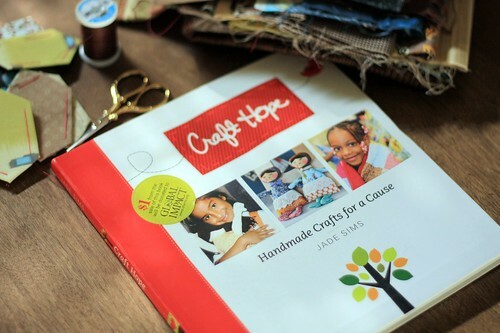 The book is filled with craft projects which have been paired with charities. 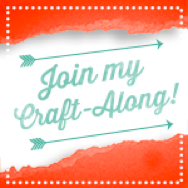 Crafting for a cause - perfect! I am extremely honored to have a project included in the book. Seeing your name and design in print never gets old, but it feels even better when it is associated with such a wonderful cause. 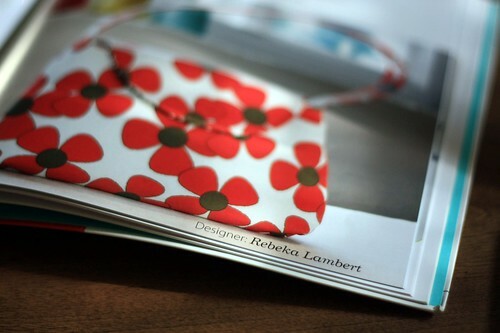 All month, the Lark Crafts blog is highlighting the designers behind the projects and the charities featured in the book. 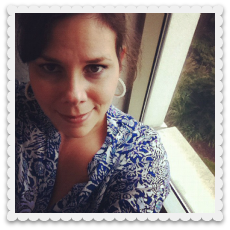 I was included in the week 3 spotlight, if you're interested (if you read my blog I'm sure it isn't anything you didn't already know, but still check it out because the others are awesome). You'll probably recognize many of the people who have projects in the book, it's a great group, I tell ya! If you'd like a copy of the book, I have one to give away. All you have to do is leave a comment on this post. I'll keep comments open through the weekend then draw a name some time on Monday. Good luck! !